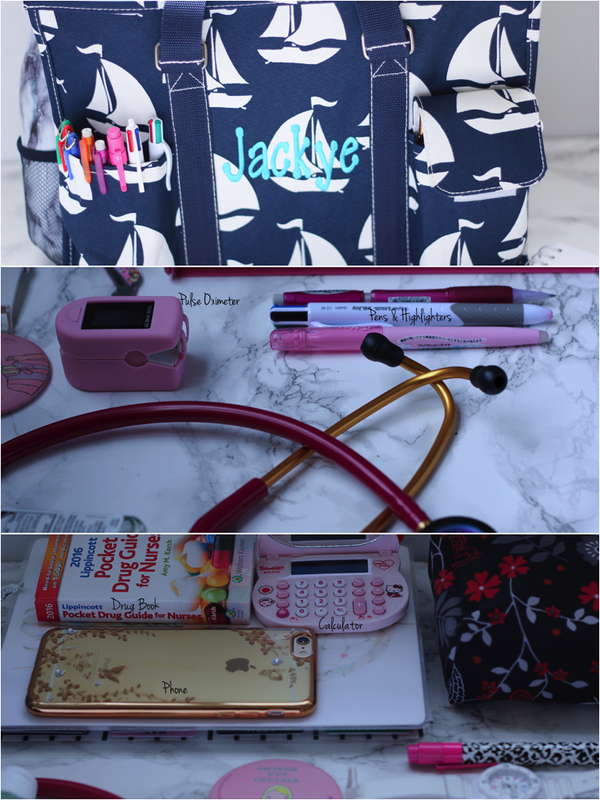 Whats In my Clinical Bag? 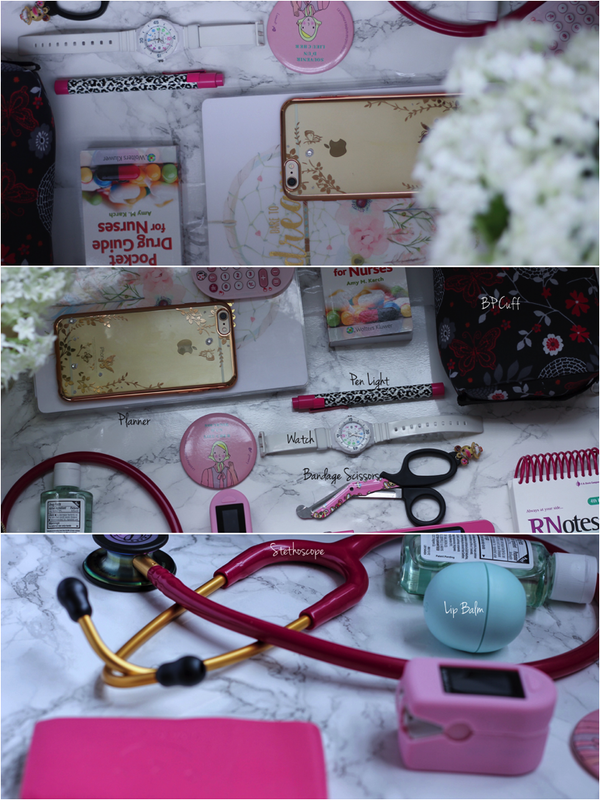 A couple of months ago, I wrote something on clinical bags and what mine contained in detail. Having gained a lot of practice now in the nursing domain through the various clinical rotations that I have attended, I acquired a new bag which is a little bit bigger than the earlier and hence can accommodate more Items of need. A clinical bag is a kind which nursing students use in their clinical rotations. Various factors need to be considered before acquiring a clinical bag. A better-quality bag is always necessitated at in clinical rotations as opposed to the one used in high schools bearing in mind that many Items are compelled in this level. When contemplating on the kind of bag to go for, consider the measurements of the storage compartment and pocket of the instruments and materials you need to carry and the size of the textbook compartment also. My new clinical bag is full of a multiplicity of stuffs for classwork, clinical work and social life. II. Drug book in a fortunate apportioned booth in my bag. This material assists me to single out every single drug’s generic name and also those that have been approved in sync with all their critical details. III. Notepad, pens, pencils, calculator and a penlight can easily be spotted once the bag is opened. The penlight always keeps me on the highlight at all times. The classwork odds and ends also can never miss their place in the bag, after all, learning is a run-of-the-mill process. IV. Alcohol wipes a.k.a anti-microbial strips, they serve an important function of getting rid of bacteria off your stethoscope. V. lip balm and water bottle helps sustain my lips in good state of breeziness. A number of patients can pick up hypersensitivities and allergies from various scents, for this reason so try to pick a fragrance-free lip balm and above all, a lady will not forget this at home :). VII. Watch - It will at all times have a booth in my clinical bag. We all have the same amount of time, managing it is what makes the disagreement. A water proof one serves me well. Its more than a watch — you will need it for a lot of skills. IX. Pulse oximeter is also part of my must haves. This one makes me have the consideration of an authentic lady who can save a patient’s life. X. Last but not least Pain killers, you will never know when you need them. I have about the same going on in mine! I actually have the exact same EOS lip-balm too! I use the mint one when it is cold outside. Makes no sense since it makes them cold but I love the minty feel and flavor in the winter. I also always have a glass water bottle with me as well. It adds weight but I never leave the house without my spring water handy. I don't like plastic bottles as bacteria just clings to them!